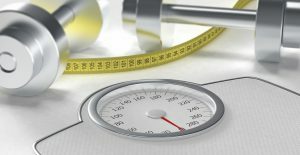 Weight management covers a broad spectrum of health concerns related to body weight and fitness, including safely losing weight, and remaining at a healthy weight in the future. Weight management includes a holistic approach to designing a plan to help you lose extra weight, and keep it off, while building up your muscles in a healthy way. Experienced medical professionals are trained to evaluate your current health and physical fitness, and design a custom weight management program to help you achieve and maintain a healthy body weight, which will mesh well with your busy life. We will meet with you each week to monitor your progress, as you lose 15 to 20 pounds during your first month following your custom program, and can prescribe FDA approved appetite suppressants to assist you in your weight management. You will also be provided with consultations on exercise programs to maximize your weight loss, and help you build the physique that you have always wanted. Exercise programs for weight loss are designed with consideration both toward your goal, as well as toward any health concerns that you may have, and your preferences. Weight management is intended as a long term health solution, so it is important that the exercise plan that you are relying upon to help you lose excess weight, and maintain a healthy weight. Weight management can be intimidating, but our weight loss program is dedicated to helping you achieve the healthy weight that your body needs, and the trim muscled physique that you have always wanted, while fitting into your busy schedule.